So, you have been playing 94% game and got stuck at the question 94% Parents? Don’t worry in our website you will find all the answers. We always ask our visitors to first try to solve the question without cheating. The aim of this game is easy. In every level you will be given 2 statements (ex. Parents) and an image. You have to find words related to these statements, exactly 94% of the words that other people have thought. 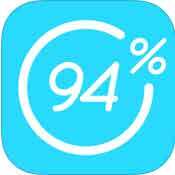 In our homepage you can find all 94% answers to all levels. Every time you solve a question, you earn some coins. These coins can be later used to get hints on other questions, especially the newest ones. By the way if you come across any mistake in the answers, or any level isn’t in our website, don’t hesitate to contact us. Or you can just let us know about the mistake in the comments below. Parents 94% is not yet available for Windows phone or Facebook user. This may change in due future, for this reason be part of our facebook fanpage to get the latest news about 94%. 94% game is developed by Scimob, the same company that is behind other successful games like 94 seconds and Word academy. © Copyright 2019 All rights reserved 94% answers.